A large population used to drive China’s economy through cheap labor. But it is now benefiting the country’s technology in a particular way. 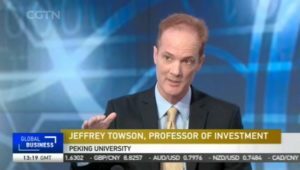 Jeffrey Towson, professor of investment from Peking University, believes China’s tech giants can beat US companies “fair and square,” both within the domestic market and abroad. Supporting his view is the large scale of native tech companies and consumers. New groups of labor and expertise have also helped China’s tech industry thrive. “If we talk about gaming, we’d also be talking about artists, people coming from design schools and animation schools, of which there are a lot now. So there’s population migration on top of government action – sometimes things just happen,” Towson said. Let’s now argue against that opinion from The Economist – if the Chinese government drops censorship and restrictions on foreign tech companies, will they win? More (including two videos) at CGTN.